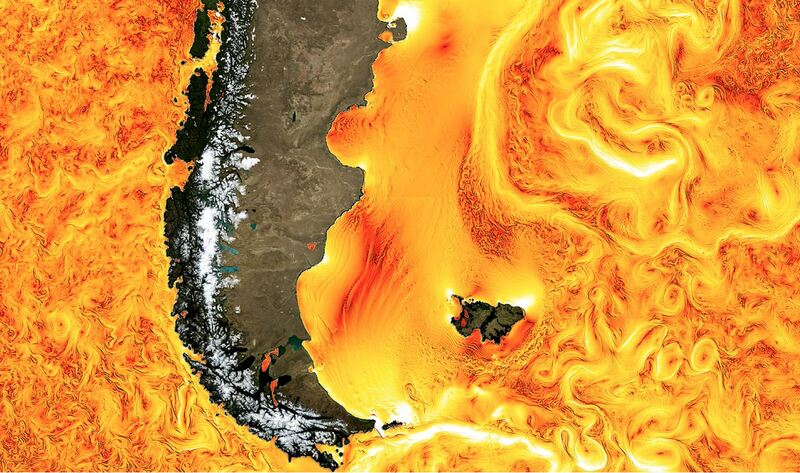 Image created by C. Henze, NASA Ames Research Center, based on simulation provided by the Estimating the Circulation and Climate of the Ocean (ECCO) project. The SWOT Satellite, planned for 2020, is expected to revolutionize hydrology. CLS is already working on techniques for processing, qualifying and exploiting the data it will provide. The main objective of the Swot satellite (Surface Water Ocean Topography), planned for 2020, is to meet the need for hydrological and oceanographic data. This mission will provide accurate measurements of water levels in rivers, lakes and flooded areas as well as improving observation of coastal regions. The collection and processing of these satellite data will enable CLS to distribute accurate and qualified information on available water stocks. This information is indispensable considering that the planet could face a total deficit of drinking water of 40% by 2030. Interferometric altimetry is itself a small revolution in the field of satellite oceanography, providing very high resolution images down to a few hundred metres. SWOT will thus collect data at the global scale. The SWOT satellite will provide accurate measurements of water levels in rivers, lakes and flooded areas as well as improving observation of coastal regions.